The British people’s support for staying in the European Union is “wafer thin”, David Cameron told the CBI yesterday. Labour’s Ed Balls warned that the UK could “sleepwalk” away from its biggest trading partner at the same meeting. Is it because most people don’t understand our relationship with the European economic area? Is it because they have been infected with propaganda from the right-wing press? Is it because there really is a plan to make the UK a third-world country, and withdrawal from the EU is necessary to remove citizens’ human rights, thereby making them easier for the ruling class to exploit? The idea seems paranoid but the actions necessary for it to happen have been coming together. Isn’t it time we had a public debate about the Union – how it works, how we function within it – in order to find out whether we really are better or worse-off? And why – considering all the bluster – hasn’t this happened already? Let’s look at the main issues: cost of membership, perceived over-regulation, immigration, and our place on the world stage. The UK contributes around 14 billion Euros (£11.9 billion) to the EU budget every year, but receives 10 billion Euros (£8.5 billion) back – so in fact we contribute £3.4 billion to other countries within the union; the UK is a net EU payer. A study by UKIP MEP Gerard Batten has claimed that red tape, waste, fraud and other factors adds another £62.3 billion a year to the cost. But the EU is the UK’s main trading partner, with contracts worth more than £400 billion a year. That kind of money make the membership fee look like a pittance. And the EU has been negotiating with the US to create the world’s largest free trade area in a move that could hugely boost our businesses (although this has a huge potential downside that nobody is talking about). Perhaps the problem is that the companies profiting from these trade deals aren’t paying their taxes properly? The UK Treasury should receive £92 billion at the current rate of Corporation Tax. How much does it actually get? Let’s not forget that the Coalition government is trying (ineffectually) to pay down the annual deficit. Any money saved by leaving the EU would not go into domestic projects but would contribute to debt repayments. In effect, it would be dead money; at least, in the EU, it helps bring in business. Okay, so it’s possible that the UK makes more cash from the EU than it spends on it. But what about all those pesky regulations bogging us down all the time? Wouldn’t we be better-off without them? Sure – if we didn’t mind losing those £400 billion worth of trade deals. 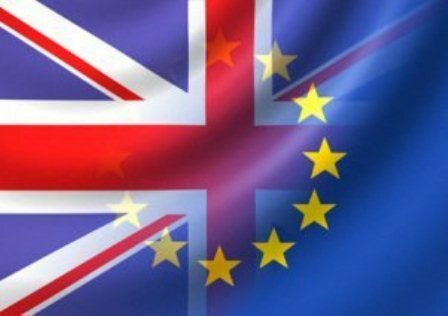 If the UK left the European Union but still wanted to trade with its member states, then we would still have to abide by EU regulations. UKIP’s Nigel Farage points to Norway and Switzerland as countries that have access to the single market without being bound by EU rules on agriculture, fisheries, justice and home affairs – but he doesn’t mention the fact that those countries must abide by EU market regulations without having any influence over how they are created. A break from the EU, allowing the UK to trade with other nations around the world, means Britain’s exports would be subject to EU export tariffs – and would still have to meet EU production standards. Yes, the EU burdens us with rules when it probably doesn’t have the right. Why does the EU dictate our policy on water? So there is room for negotiation – but within the Union. Well, what about immigration? The UK has a huge problem with its borders having been opened up to millions of incomers – mostly from Eastern Europe, with millions more on the way next year, right? Wouldn’t leaving the EU put an end to that? Yes. It would also put an end to Britons’ chances of living and working in EU countries. 711,151 UK citizens were living in other EU countries in 2011, according to Eurostat. Their right to work and live there might be restricted if Britain quit the union. While 2.3 million EU citizens were living and working in the UK in 2011, their effect on the country’s economic well-being has been hugely exaggerated. There is no ‘open door’ immigration policy. The immigrant population does not have access to a vast majority of the benefits available to UK citizens, the benefits they do receive are nowhere near the same value as those received by UK citizens and they are a third less likely to claim benefits than UK citizens. Meanwhile, they contribute to the local economy and pay their taxes. The UK would definitely lose stature on the world stage. There can be no amicable divorce from the EU, as the other leading members are unlikely to allow this country any special privileges or influence. We would surrender our ability to influence EU policy while remaining hostage to EU decisions. The ‘special relationship’ with the United States would also be in jeopardy as that country has made it clear we are a more valuable ally as part of the EU. As a member of the EU, Britain is viewed by many non-European manufacturers as a key point of access to the European market – but this reputation would be lost if the UK quit the union. British banks and businesses also see membership as important because it provides access to crucial foreign markets. Oh, and the UK would still have to deal with the European Court of Human Rights, which is separate from the EU, even after ridding itself of the pesky Human Rights Act that ratifies so many EU employment laws and social protections that prevent Theresa May and her friends from exploiting us all. Add it all up and the evidence seems clear: Britain is better off with Europe. Yes, there are problems, but these are matters for negotiation, not reasons to run away.